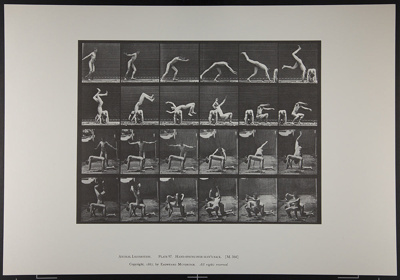 About this objectEadweard Muybridge was an English photographer best known for his work in human and animal movement. He employed multiple cameras to capture the motion of humans doing everyday tasks, and horses. His images of a galloping horse are perhaps his most famous, and changed the way that horses were depicted in art. Most artists had represented a galloping horse with all four feet off the ground while its legs were extended in front and behind. With the photographic studies Muybridge performed with funding from wealthy businessman and horse owner Leland Stanford, he was able to prove that the horse’s legs are tucked underneath itself when all four legs are off the ground. 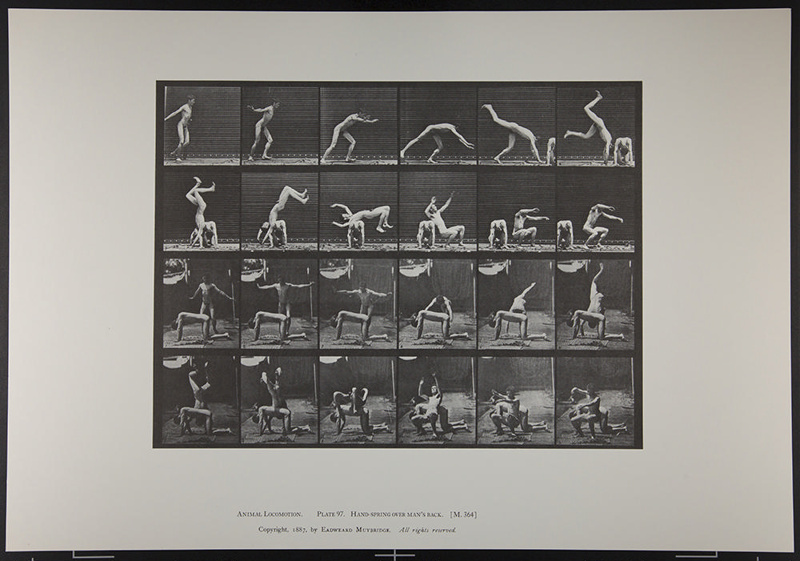 This also led to Muybridge’s invention of an early moving image projector, the zoopraxiscope, which rapidly projected still images from rotating discs in order to give the impression of movement. This portfolio includes a facsimile of the prospectus and catalogue of plates for the first edition. It also includes a list of plates in this portfolio. The numbers in brackets are the plate numbers employed in the original edition of Animal Locomotion. Published by Da Capo Press – New York – 1969. The original publication would have employed photogravures, while the halftone process was used in this reproduction.